This is our sensory experience (something that we see, hear, feel, taste, smell) – our pure experience – it exists at an unconscious level (we are not aware of it). This is where learning and change take place. Find out more with our NLP training and online in our NLP online training centre. 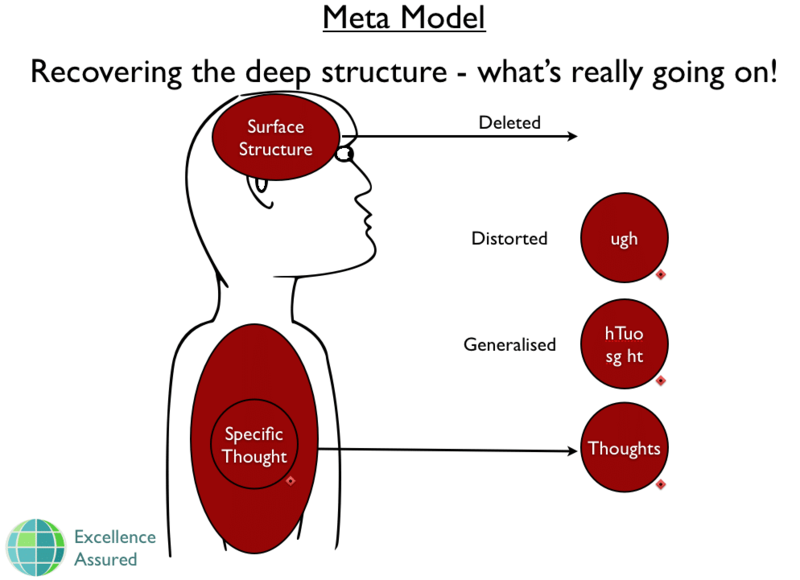 We use Meta Model questions to discover what is in someones deep structure, or what their real feelings and thoughts are. What is left of the deep structure after we have deleted, distorted and generalised, as expressed in language. What is in our awareness.